Hardcover, sewn binding, essays, notes, references, bibliography, photos, index, 668 pp. 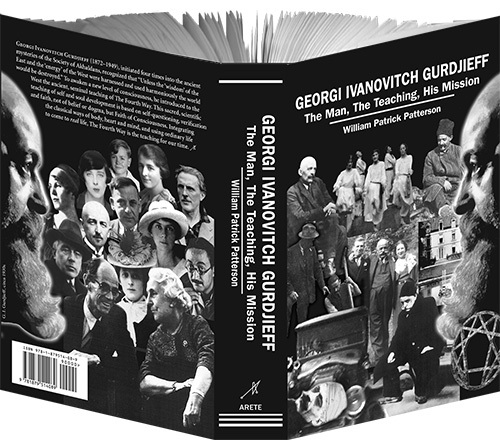 Georgi Ivanovitch Gurdjieff — The Man, The Teaching, His Mission is the author’s ninth and final book on The Fourth Way. Ten years in the making, it is the deepest study yet of this potent seminal spiritual figure of the last century, and the teaching of The Fourth Way. Material from the library archives of Gurdjieff’s direct students, much of it not available until recently, and all relevant books written about Gurdjieff have been integrated and assembled in chronological form. The aim is to give an objective, panoramic view of his life, the inner substance of the ancient teaching of spiritual self-development, and his unrelenting mission to introduce and establish The Fourth Way in the West. Included are P. D. Uspenskii’s never-before-published essays, “Why I Left Gurdjieff” and “Where I Diverge from Gurdjieff”; much deleted material from In Search of the Miraculous; Uspenskii and his American femme fatale, Carman Barnes; Jessie Dwight Orage’s short stories, “Elsie at the Prieuré” and “Elsie & Allah”; the notes of Kathryn Hulme and Solita Solano (1935–39); and the complete scenario of Gurdjieff’s ballet, The Struggle of the Magicians. For more information or to purchase visit Gurdjieff Legacy.